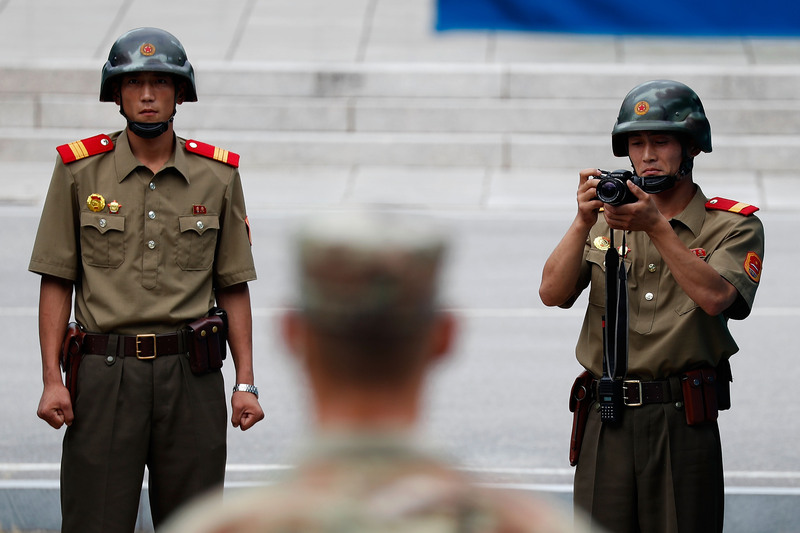 Sources inside North Korea say the regime has ramped up ideological and military training recently, but have not supplied the food and supplies soldiers need, causing morale to plummet. The story comes a few weeks after a North Korean soldier defected to South Korea by running across the demilitarized zone, getting shot five times in the process and revealing a stomach full of parasites, tuberculosis, and Hepatitis B. 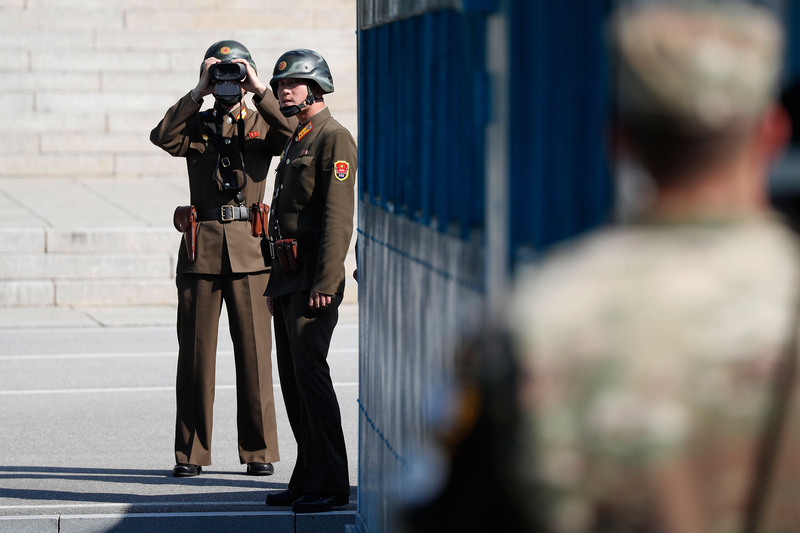 That soldier’s state appears to reflect recent reports that the North Korean regime can’t keep its soldiers fed and that many troops are facing a shortage of food. “The 12th Army Corps began exercises on the first of the month, but the leading commander said during opening inspections that he had merely received orders to carry out the drills, but had not received any accompanying provisions—quite the disconcerting welcome,” a source in Ryanggang Province told Daily NK on Dec. 5. Daily NK is a Seoul-based news site that specializes in getting information from sources inside North Korea. “After this, the soldiers were taken through the ideological and physical drills and told to express their enthusiasm for becoming ‘young heroes of the nation,’ but their reactions were lukewarm at best,” said the source. According to Daily NK, the winter drills, which begin Dec. 1, are often a welcome source of a good meal for soldiers, but this year food supplies are slim. Under the previous North Korean leader, Kim Jong Il, soldiers would be well fed by locals on the first day of exercises. That is no longer the case. Nor is the regime itself able to provide for its soldiers, according to other recent reports. 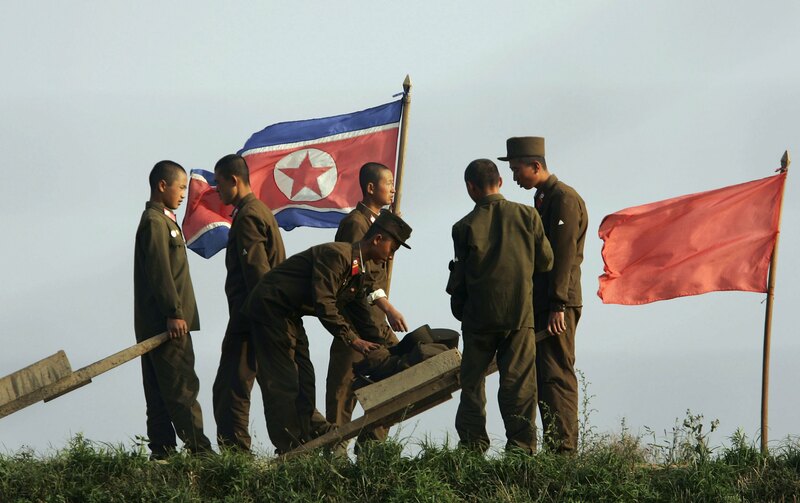 Recently, sources in North Korea said soldiers had taken to looting farms to feed themselves. The looting came after earlier reports that the communist regime has ordered the military to acquire its own food supplies. Normally, the regime mobilizes citizens to collect supplies for the army, but in October, the military was ordered to collect its own provisions. 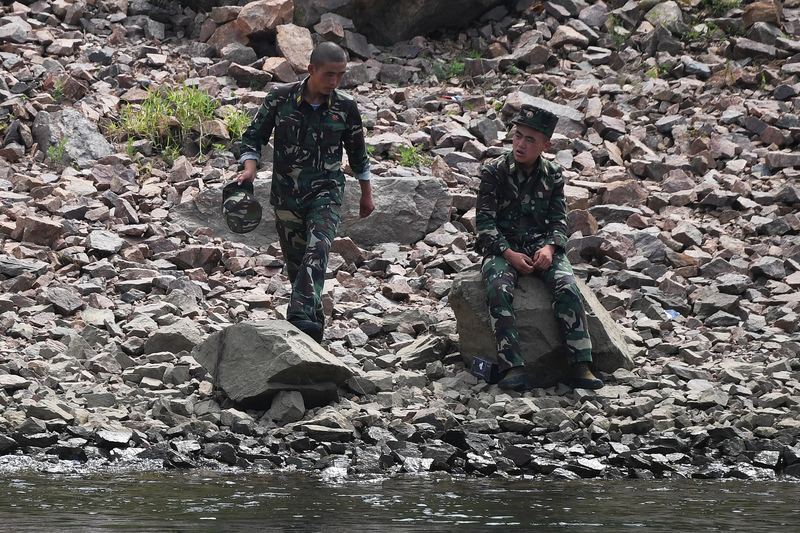 “Military leadership handed down orders last month detailing the quotas required to be collected,” a source in Ryanggang Province told Daily NK in October. “It is quite absurd that military personnel have to collect these provisions themselves. And such orders were handed down in all provinces, covering all military divisions across the country,” said the source. Since the order came down, reports of looting have increased. In one incident in the Kapsan region, soldiers from the 43rd Brigade raided fields at night, a source in Ryanggang Province told Daily NK on Nov. 2. “They all gathered for the surprise attack, fanned out across the farms and swept up all the corn,” the source said. “It’s not an everyday occurrence for the 43rd Brigade to go around plundering the farms, but they have become much more brazen this year,” he said. Due to the lack of provisions, the current drills will likely not have the impact the communist regime hopes. One source said it is unlikely the soldiers will improve their fighting capabilities, or feel better about their lot. 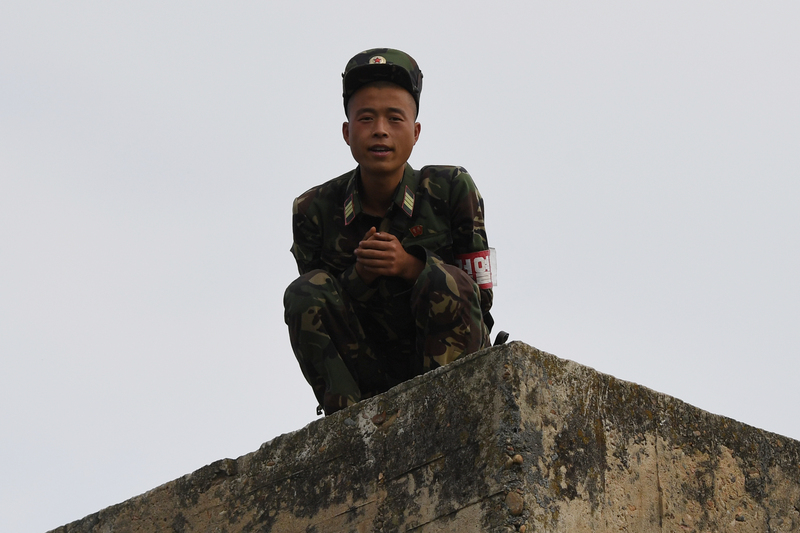 “The authorities have to feed the soldiers before they will be able to fight the enemy,” an additional source in Ryanggang Province said. If the condition of North Korea’s soldiers is similar to that of Oh Chong Song—the soldier who ran across the border on Nov. 13, under bullet fire and is still recovering in the hospital—Kim’s army will be far from being in top fighting form. According to reports, the lead surgeon who worked Oh’s bullet wounds said his medical team found squirming white parasitic worms coming in the man’s digestive tract as they removed bullets. Oh was shot at least five times, with several bullets hitting his intestines. “Everything was stained with blood, but the parasite was basically a really white color and this thick, big, long and very, very hard, this kind of thing was getting out from his bowel system,” surgeon Lee Cook-Jong told CNN. The medical team managed to remove all of the worms, some of which were over 10 inches long, reported The Independent. Parasites like those in Oh’s stomach are typically a result impoverished conditions found in the poorest areas of the world, where conditions are unsanitary and water or soil can be contaminated with sewage. 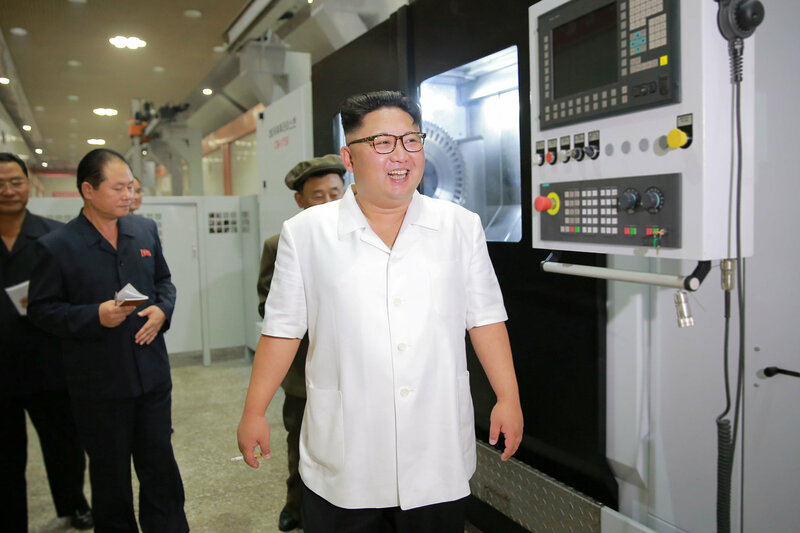 Oh’s situation seems widespread for a top-tier military, as the Kim regime claims to have cultivated with its Songun, or military first, policy. The Songun policy is used to justify prioritizing the needs of the military over all other matters. It was instituted in 1994 as famine began to grip the country. 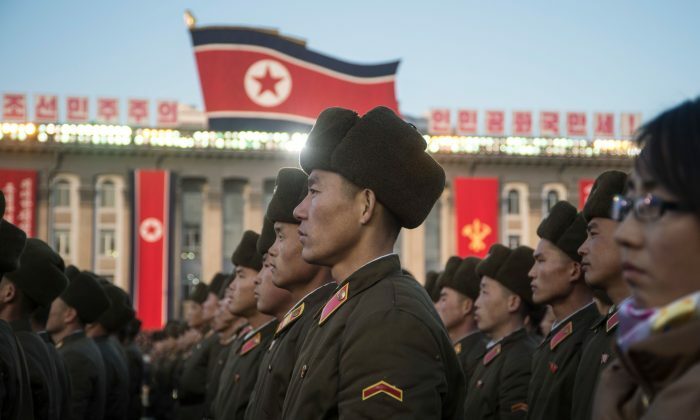 The estimated death toll ranges from 240,000 to 3 million North Koreans. With current leader Kim Jong Un fully absorbed with developing nuclear weapons, it seems that his soldiers are being overlooked. Sources inside the country say moldy cornmeal recently caused an outbreak of diarrhea among soldiers. We work hard to deliver important and interesting articles to you. Please help support independent journalism by sharing this article with your friends and family. It takes less than a minute. Thank you!